Adding beauty to the knotty metal style square measure the glorious white and black semi-precious stones that adorn the earrings. Vogue comes very easy with this piece of jewelry. The glitter of gold that makes this pair of earrings shine comes from the micro gold film that layers the base metal of brass. 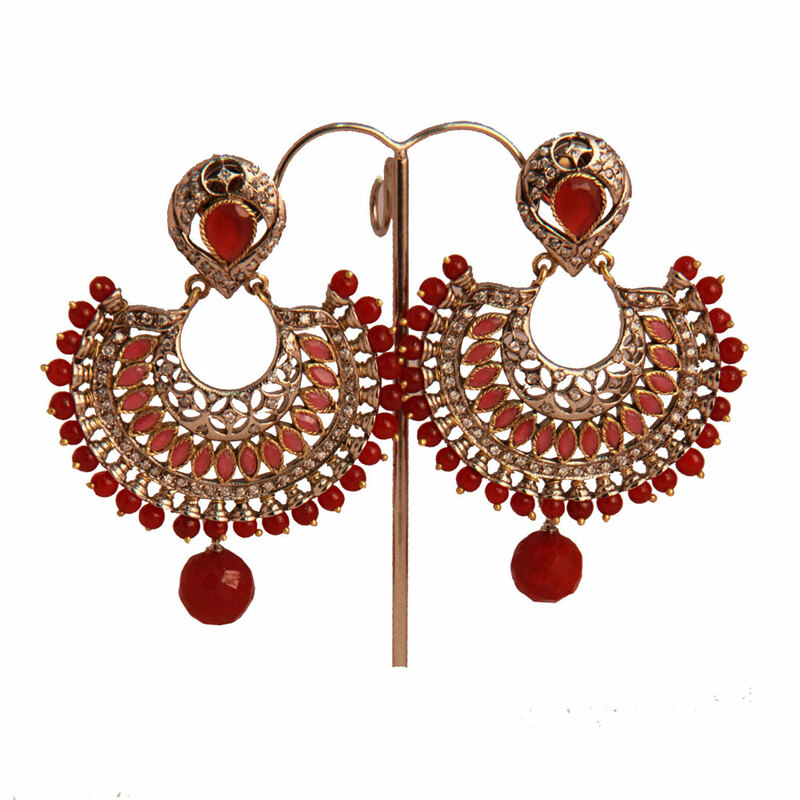 Adding Read More..beauty to the intricate metal design are the magnificent white and black semi-precious stones that adorn the earrings. Style comes really easy with this piece of jewellery. Show Less..